This is a review I wrote in 2005—it was published in the Fall 2005 issue of the small press magazine Night to Dawn. The review feels more like a college essay than most of the reviews here at Gravetapping, but I still think about several of the stories contained in Vampire Slayers and absolutely agree with my analysis. It feels good to agree with myself. Enjoy, and have a great new year. I’ll be posting some new stuff soon—maybe even a photograph or two of our Death Valley trip. The style of each story is unique. They seemingly represent the evolution of the vampire hunter tale from its earliest modern inceptions to the contemporary. The arc of substance that these tales feature is fascinating—the characters of the early tales are caught in a nightmare of events that are beyond their control, and very often belief, while the modern tales tend toward the vampire slayer as a merciless professional who not only believes what is happening, but thrives on it. The stories that represent early vampire literature, “Revelations in Black” by Carl Jacobi, “Nellie Foster” by August Derleth, “Stragella” by Hugh B. Cave, and “The Last Grave of Lill Warren” by Manly Wade Wellman, have the feel of the classic tale Dracula by Bram Stoker. They evoke the feelings and the mythology of the great novel with one major difference: They are written in third person. There are no letter or diary entries to remove the reader from the action as in Dracula. The story unfolds before the reader in real-time. It is told with a suspense that cannot be obtained from the older “letter” style novels, yet they have much in common with their predecessor Dracula. The stories move forward into a middle ground between old and new with “Duty” by Ed Gorman and “Midnight Mass” by F. Paul Wilson. They both contain the classic mythology, but are written with a stronger sense of unease and corruption than the earlier tales. They also lack the easy simplicity of good versus evil. Gorman uses a spectacular sparse noir style that emphasizes the humanity of the slayer, the angst that is felt as friends and neighbors clamor for his services. His protagonist takes the emotional burdens of the death he causes, the guilt of murder from each slaying as though the vampires are not animals, but living, breathing humans. With passages like this, Mr. Gorman seeks, and finds more than just the generic vampire slayer story. He creates an image that is more than mere horror, but is also very much relevant to the human experience. A story that makes the reader ponder death, and more importantly life. The final group of stories is fashioned in the most modern sense of the slayer. They have much in common with the television series Buffy the Vampire Slayer. 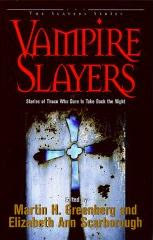 They have hard-nosed slayers who look at the world of vampires as nothing more than something to be killed. They are professionals who enjoy the act of slaying. 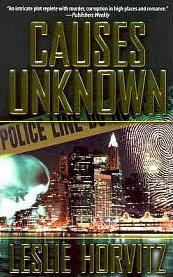 These stories are best represented by the detective story “God-less Men” by James Kisner and the vampire as vampire-slayer story “This Town Ain’t Big Enough” by Tanya Huff. These are edgey stories that have the vibrancy of modern noise and craze. The heroes and heroines push through the streets with the tough, and at times, pious sense that they are absolutely right and will survive, and with their survival humanity will also be saved from the an unbelievable onslaught of the undead. Vampire Slayers is a welcome addition to vampire literature. 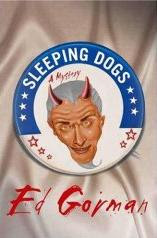 It gives the reader a brief primer of the vampire slayer story in the Twentieth Century. The stories are related only by their theme: The Slayer versus the Vampire. The storylines and styles are vastly different, but each, in its own right, works and adds to the growing canon of vampire literature. 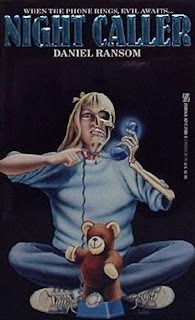 Zebra Books published Night Caller in October 1987; it was a paperback original. P.S. Gravetapping is going to be quiet over the next week. I'm going on a much anticipated vacation with the added benefit of little to no Internet access. I hope everyone has a wonderful holiday season. I'm usually a little slow in getting any kind bookworld news other than the latest titles coming out from my favorite writers and publishers, so most of you may have seen this, but I really liked it. It's a book trailer for Dean Koontz’s novel The Good Guy. I haven’t read it, but the trailer really makes me want to. I’m really just discovering book trailers, and if there are any out there you would recommend please do. I’m a sucker for a good first line—one that grabs me by the throat and pulls me kicking and screaming into a story. It not only sells the novel—or short story—but it sets the mood, tone, theme, and damn near everything else that makes a story a story. And how I love a good story. In this fourth edition of Zingers there are, as usual, three opening lines, or paragraphs as the case may be, that were especially appealing when I picked these books up. I’ve been in a thriller mood of late, and two of them show my mood, but the third is straight mystery. That’s what they called themselves, and that would make a good story, Balenger thought, which explained why he met them in this godforsaken New Jersey motel in a ghost town of 17,000 people. Months later, he still would not be able to tolerate being in rooms with closed doors. The nostril-widening smell of must would continue to trigger the memory of screams. The beam from a flashlight wouldn’t fail to make him sweat. This is the opening paragraph to David Morrell’s Bram Stoker winning Creepers. It perfectly sets the stage for the story that quickly develops on the pages, and if you can put it down after an opening like that, you’re a braver man than I. Worse than that: he was terrified. His heart was pounding, his breath came in gasps, and his body was taut. It was like a nightmare, except that waking brought no relief. He felt that something dreadful had happened, but he did not know what it was. He opened his eyes. 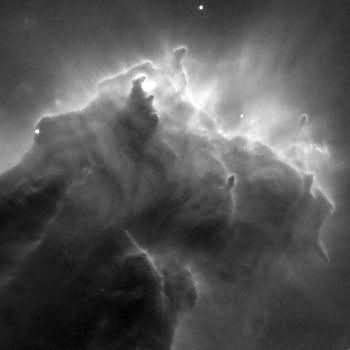 A faint light from another room dimly illuminated his surroundings, and he made out vague shapes, familiar but sinister. Somewhere nearby, water ran in a cistern. This is how Code to Zero by Ken Follett opens; the paragraphs create a terrific image of change. The character is off-balance, unsure, and scared. The character's feelings of unease permeate the prose, and very much make me want to read on. And I’m just glad someone else wakes up that way too. When ranch owner Opal Scarlett vanished, no one mourned except her three grown sons, Arlen, Hank, and Wyatt, who expressed their loss by getting into a fight with shovels. This is one of the best opening lines I’ve read. It has everything. Bite. Mystery. Appeal. Humor—dark as it is. And it’s just damn intriguing. This line is how C.J. Box’s In Plain Sight begins, and oh how it makes me want to read on and on. 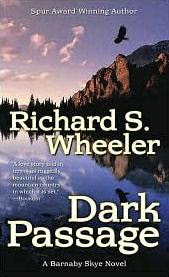 In July Forge released three older titles in the Barnaby Skye series written by Richard S. Wheeler. 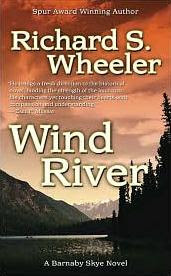 The covers are unique in the Western novel world—they each have a beautiful landscape photograph that captures the rugged wild places of the Western United States, and they fit the stories Richard Wheeler writes perfectly. 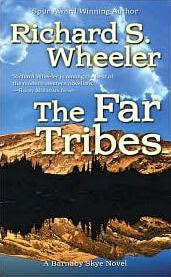 Mr. Wheeler doesn’t write about trail herds, gunmen, Sheriffs, or any of the other stereotypical themes—he writes about Mountain Men, Native Americans, miners, and the harsh, beautiful landscape that created the legends of the West. The Barnaby Skye series is a beautifully rendered landscape of the early explorers of the West. Mr. Skye is a man of his time and of the land. His wife is Crow, and together they build a life in the vast wilderness. The novels can be read in any order—at least that is how I have read them—and the three that have been re-released with new covers are: The Far Tribes (the third novel); Wind River (the seventh novel); and Dark Passage (the tenth novel). The synopsis for each novel was taken from the Barnes & Noble website. It is 1831 and Barnaby Skye, the deserter from the Royal Navy turned Rocky Mountain trapper, joins his wife, Mary Quill Woman of the Crow nation, in a journey to her village on the Yellowstone. "Victoria", as Skye calls her, is unhappy with her husband. He drinks too much, and seems afraid to help fight her people's enemies. She falls under the spell of Jim Beckwourth, the wealthy mulatto war chief of the Crows, and in a raid against the Blackfeet, ancient enemies of her people, she is abducted. Now, Skye must come to her rescue in the Canadian wilderness, win her back from the deadliest of all the mountain tribes, and win her heart again. Barnaby Skye, the former Royal Navy Captain turned trapper has been offered a lucrative proposal from the US Government. His intimate relations with many Indian tribes, and his marriages to their women, have landed him a job as scout and translator for the government’s Indian Affairs. The proposal he must present to the natives: a lopsided treaty in favor of the colonists or certain annihilation. There are many legends of great mountain men, hunters and trappers who manage to survive on their own in the harsh landscapes and forests of the West. The frontier is full of adversity, from blood-hungry natives to the vicious beasts of the mountains, and the one name that all men of the frontier praise and whisper as if in prayer is Barnaby Skye. Elkanah Morse came west from Lowell, Massachusetts with one goal in mind: to study the ways of the far tribes. But entrance into their world is not easy. Only one man is capable of bringing him to the natives safely, only one man who knows exactly what to bring for trade. But Skye’s advice is not enough. When rumors begin to spill that Morse is being held captive by one of the most vicious tribes in the mountains, Barnaby Skye feels compelled to take to the mountains and rescue the man . . . but he must face his most brutal battle yet. Masters of Horror: "Sounds Like"
I watched an episode of Masters of Horror—a Showtime anthology series—a few weeks ago that has stayed with me. 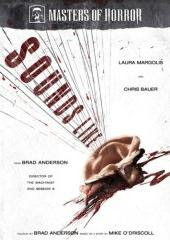 The title: “Sounds Like.” It was directed and written by Brad Anderson—he also directed the 2001 horror film Session 9; a film that really scared me, and absolutely terrified my girlfriend. His work since has mostly consisted of television episodes; he directed an episode of The Shield, Surface, and two episodes of HBO’s overrated series The Wire. “Sounds Like” is a quiet film—it tells the story of Larry Pierce, a manager at a customer service call center who, at the death of his son, develops hypersensitive hearing. He can hear whispered conversations across crowded rooms; small sounds that we all ignore—dripping water facets, the clinking of glassware, nervous fingers playing on cloth and tables. He can literally hear everything, and at first it doesn’t bother him, but as the film progresses Larry becomes more and more isolated from the world. He is more an observer of his surroundings than a participant, and the crushing noise of humanity quickly threatens his sanity. “Sounds Like” is a terrific film that drips with melancholy, isolation, rage, and a forbidding loneliness that exists in us all. Chris Bauer, who plays Larry, is perfect for the role. He exudes tired desperation. The sadness of the character seemingly haunts the screen, and as the film moves toward its climax the audience can’t help but feel a mixture of empathy and horror at what the man becomes. Brad Anderson has created an atmospheric film that not only tells a great story, but also says something about society, loss, and the human condition. 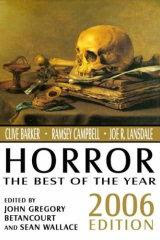 "Sounds Like" is the best episode of the very uneven Masters of Horror series, and very much worth the price of rental. “Sounds Like” is based on a short story written by Mike O’Driscoll. It’s December again, and that means two things; another year is nearly in the books, and it’s time for another installment of the year’s best books. It was a terrific reading year for me, and not because I read any one thing that changed my life, but the overall quality of what I read was very high. There were just a few novels I read that didn’t sit well, and of the rest I found it difficult to narrow the field down to the mandatory five best. 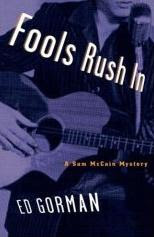 The most difficult choice was for fifth place—there were several novels I easily could have chosen, but I settled on Camp Ford by Johnny D. Boggs simply because it was the most original; or that it’s about baseball. I know you’ve been waiting all year to read my best of 2007 list, and so to satisfy your hunger, here it is. But first, a few remarks: 1) These titles weren't necessarily published in 2007, but rather I read them in 2007; 2) I tend to re-read some of my favorite authors / titles, and to keep the list fair, a book has to be new to me to be included; 3) I completed 61 novels this year, up from 52 last year, and a little below the 77 I read the previous year. 5. Camp Ford by Johnny D. Boggs. 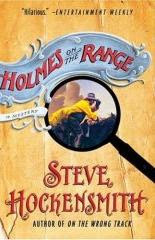 Camp Ford won the Spur Award for best novel in 2005, and it is the best western novel I’ve read in recent memory. Mr. Boggs adroitly weaves together two storylines—an aged former baseball player watching the 1946 World Series in St. Louis, and that same man as a boy surviving a Confederate prisoner of war camp. It is a Civil War novel filled with the folklore and beauty of baseball on a backdrop of war. 4. Time to Hunt by Stephen Hunter. 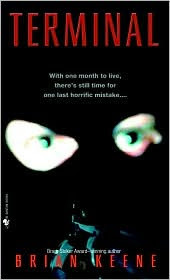 Time to Hunt is one of the best thrillers I have read. The plot is flawless, the characters are strong, and the forward momentum is astonishing. Hunter ratchets the tension with the finesse of an old pro, and with Bob Lee Swagger, he has created one of the most likable, able and well-drawn action characters ever created. He is all man—intelligent, tough, and more than able to take on the bad guys. Simply put, Stephen Hunter is the best writer of thrillers still practicing the trade. 3. Scavenger by David Morrell. Scavenger is an action novel with a complexity that is seldom found in the genre. David Morrell explores issues of identity, love, and self-awareness while entertaining the reader well beyond expectations. 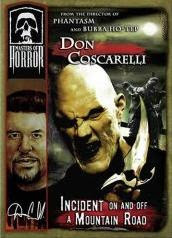 It features the hero from Mr. Morrell’s Creepers, and while it isn’t a sequel, it has a similar feel and pace. It is tight and so well executed that it passes almost too quickly. 2. 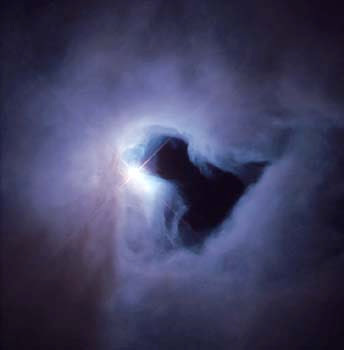 Blaze by Richard Bachman. I can’t say enough good things about Blaze. It is an old style novel. The voice is crystal clear and the theme is very much like an old noir. Blaze, the protagonist, is a good man who has never gotten an even break. He has never been at the right place at the right time, or any other cliché you can think of. He is likable, chummy, and in his own way one hell of a good person. His father beat the intelligence out of him and the unfairness of life took everything else. Blaze is a novel about love, need and just plain bad luck. 1. The Road by Cormac McCarthy. 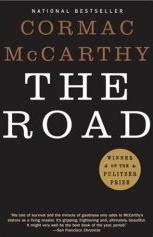 The Road won the Pulitzer Prize for literature this year, and for good reason. It’s a damn fine novel. It is a post-apocalyptic novel that has something to say about hope, love, and even evolution. I don’t know what to say about The Road that hasn’t already been said, except it is science fiction, sharp, and good beyond comprehension. Worth the wait? I hope so. 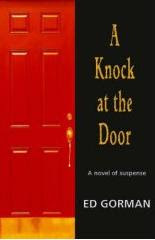 I was playing around the Internet the other evening and I stumbled across a scheduled Borderlands Press release of an Ed Gorman novel titled A Knock at the Door. It had a release date of October 15th, but it isn’t available yet. I was unable to find any mention of the title on Borderlands website, and Aamzon.com shows a delivery time of 1 – 2 months. 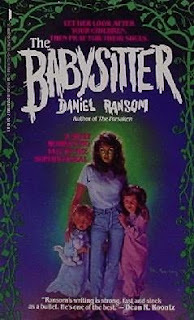 I did do a little digging—okay, I emailed Ed—and found out A Knock at the Door is a reprint of Nightmare Child published by St. Martin’s Press in 1990 under the pseudonym Daniel Ransom. This title is difficult to come by and I really, really hope it comes out soon. If anyone out there knows anything about when A Knock at the Door will be available send me an email, or even better, post a comment. A young married couple plot to collect an inheritance by committing a terrible murder. They are unprepared for the payment they receive at the hands of the victim. I’m not completely familiar with the work Ed Gorman published under the Daniel Ransom pseudonym, but I do know that it mostly ranged around horror and science fiction. I have a list of twelve Daniel Ransom novels and two short stories. The publication dates are between 1986 and 2001—all of them are currently out-of-print. And while I’ve only read one—The Fugitive Stars—I have a few others kicking around, and I’m reading Night Caller right now. This is the list of Daniel Ransom novels and stories I’ve collected. If there are any titles missing, or any that are here and don’t belong, please let me know. 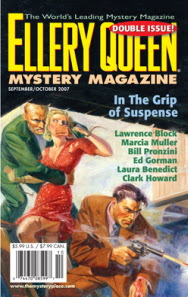 THE DEFENDER by Bill Mesce, Jr. It's another busy week. I'm in the last week of classes; finals are quickly approaching--next Wednseday at about 11am I'll walk out of the testing center for the last time. I hope. And needless to say the week is slipping by, and I don't have anything to post. 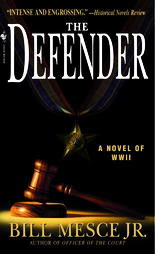 So here is a review of Bill Mesce's legal / military thriller The Defender. This review originally went live on January 26, 2007, and since most of you have found Gravetapping since then, it very well may be new to you. If not, come back in a few. This nifty little legal thriller is advertised as “a novel of Word War II,” and it doesn’t disappoint as either a historical novel or a legal thriller. Lieutenant Dominick Sisko has been charged with disobeying an order and cowardice. Sisko took his unit off the offensive and retreated down hill 399 against the order of a senior officer. His defense? The commanding officer, killed in the offensive, gave him the order to retreat. Lieutenant Colonel Harry Voss, a family friend to Sisko, is called in by the Judge Advocate General to act as the defense. The court martial is rushed, and Voss finds himself running against the clock, the prosecutor and the truth. The story is more than it seems, and Voss is uncomfortable with both the over zealous attitude of the prosecutor and the facts of the case. The characters all have divergent motives, and Voss is faced with more than just a normal defense. 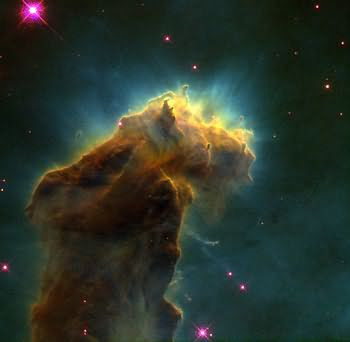 He his faced with his own conscience. 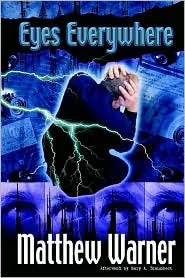 The Defender is a fast-paced, and thrilling novel. Mesce’s writing shines in the courtroom scenes—the dialogue is crisp, realistic and the story his characters testify is engrossing. The characters have the feel of realism without an overbearing reliance on description and back-story. The setting is well drawn with tight, understated images. The Defender is a winner, and I enjoyed every page. I’ve seen Andrew Neiderman novels in new and used bookstores for years. I’ve even seen a couple films based on his novels—Duplicates, and the big budget Keanu Reeves and Al Pacino film Devil’s Advocate—but I had never read any of his work until SFReader sent his latest novel, Unholy Birth, for me to review a few months ago. Unholy Birth is a quiet horror novel—there is no gore, no scream-out-loud horror, or nail-biting suspense. 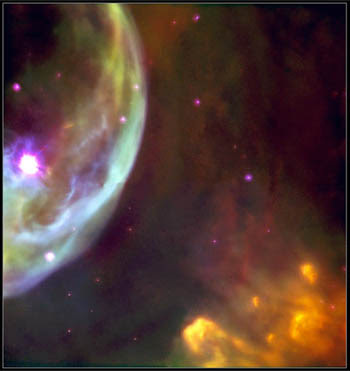 The tension is built slowly, but steadily until the final climax. Mr. Neiderman creates an enjoyable world, populates it with people, for the most part, that I liked, and then spends the rest of the novel tearing their world apart. Unholy Birth felt like a stand alone episode of The X-Files, and I enjoyed every minute of it. To read the entire review on SFReader click Here.